Most of you must know how consuming getting a new job must be. That is the case with me. Yes my new full-time job has absorbed me, and it probably will take at least another three months before I am balanced and ready to post on a regular basis. A few weeks ago, Simon and I spent a day in Carmel, California and found ourselves falling in love with the quaint architectural details of such a lovely town. Here some quick images taken on my iPhone. 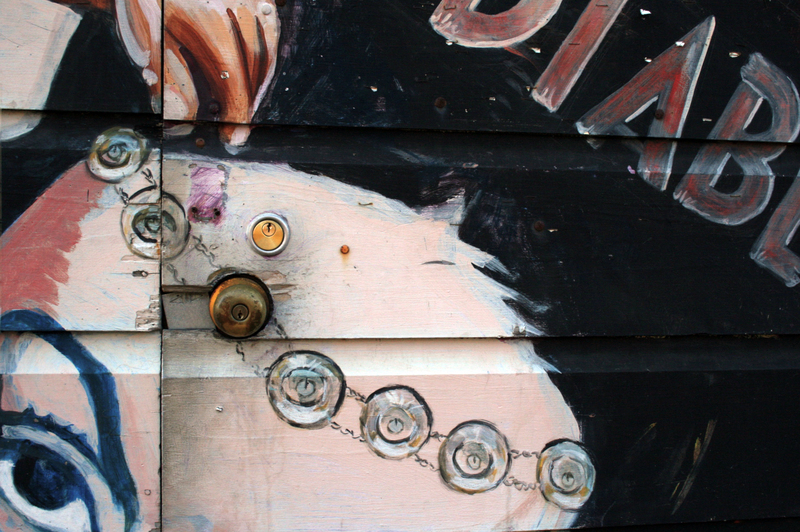 Little details from a little town on a cold winter-after-holiday evening. After walking around town, we realized why this family wanted to share with the world their dream come true. 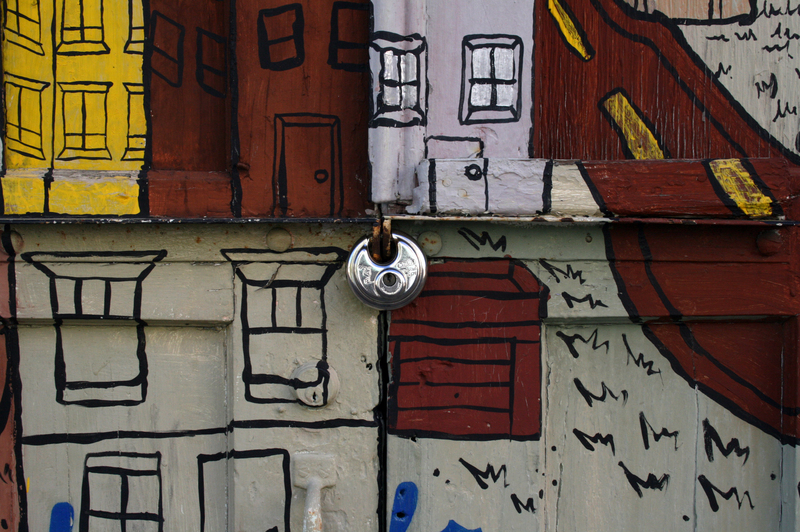 Hearts welcoming you into pretty little houses. It’s almost a fairytale. Country style chocolate shingle house with doll-home like white and baby blue windows. A house that makes you feel as if you lived in the woods. Beautiful arched windows and rock made chimney. An adobe house with its well maintained clay roof and wooden trim that accentuate the gorgeous creamy wall. Rustic and elegant form a melody. Even City Hall has its character with a rustic metal carved/painted sign. Dutch/Gaudi style little cabins that serve as shops on the main street. Here, Simon showing the architectural proportions. Truly quaint! And here a dreamful beach in Carmel on this cold evening. May all of you had a wonderful holiday. 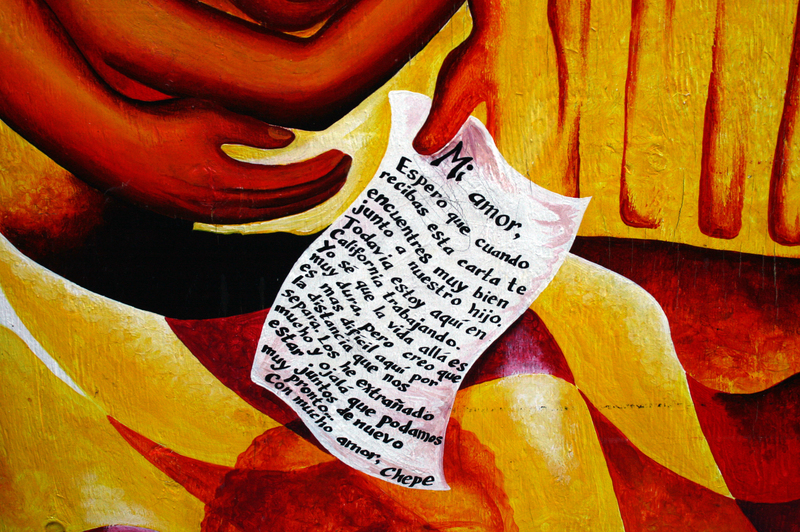 Design and Art are intertwined and they constantly influence each other. 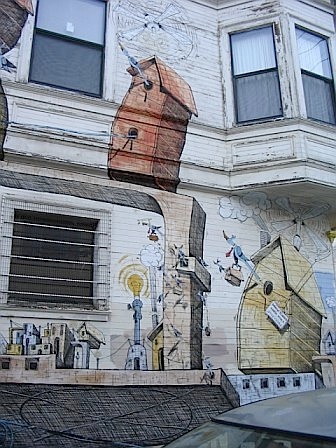 I personally think graffiti is street art developed by young people’s need for expression in open spaces. 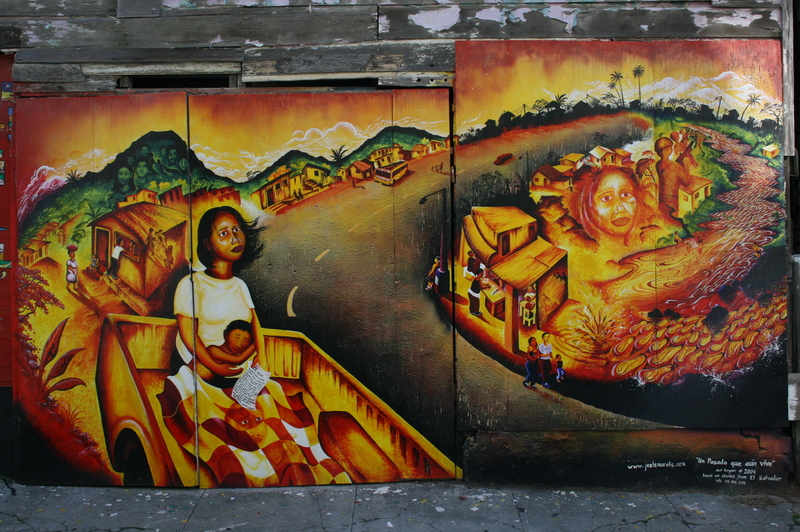 Murals on the other hand are a re-defined version of graffiti that speak for the culture and struggles of the people. 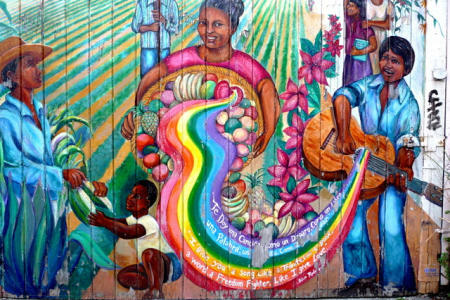 Please join me, as we bike through the streets of San Francisco in search of unique and beautiful murals and graffiti art. 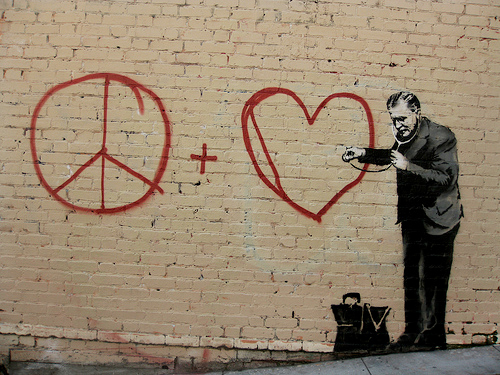 In Chinatown, Banksy makes a statement bringing together peace & love. 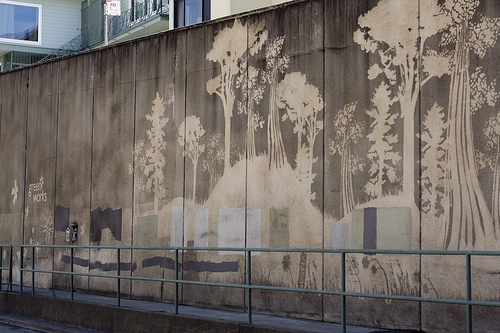 Reverse graffiti by Paul “Moose” Curtis – Broadway tunnel between Chinatown and Russian Hill. 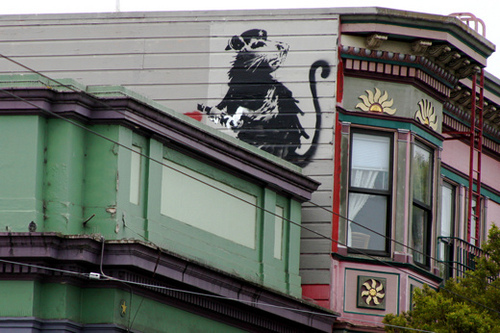 Landing on Haight/Ashbury, Banksy strikes again with giant rodent. 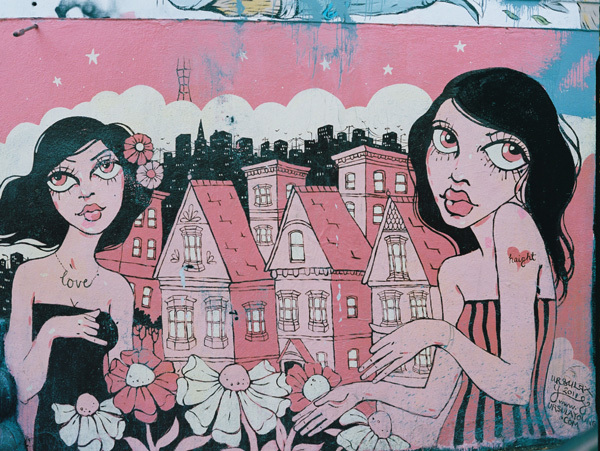 Heading down to the Lower Haight this beautiful piece by Northern-English native and CA based artist Ursula Young. 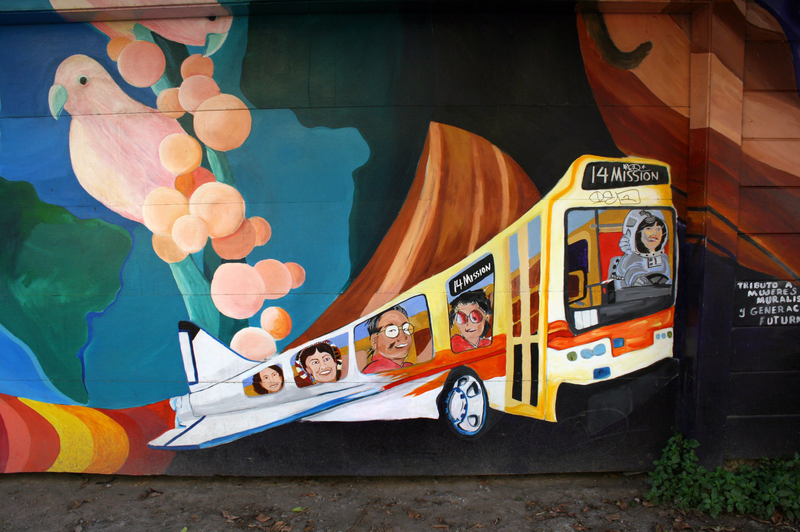 Now toward the Mission via Church Street we find the Market Street Railway Mural by Mona Caron. 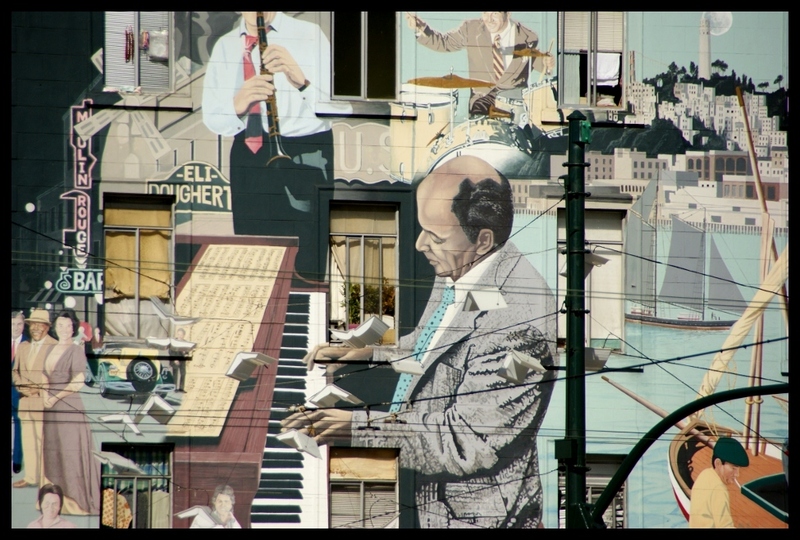 This mural shows a 180-degree bird’s eye view of San Francisco’s Market Street through time. Floating houses near 14th and Treat in the Mission District. 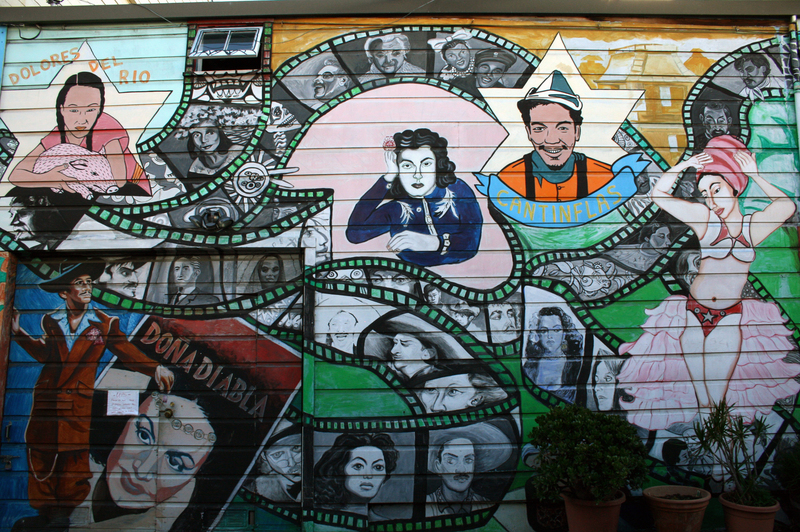 Entering now Balmy Alley on 24th Street home of the most concentrated collection of murals in San Francisco. 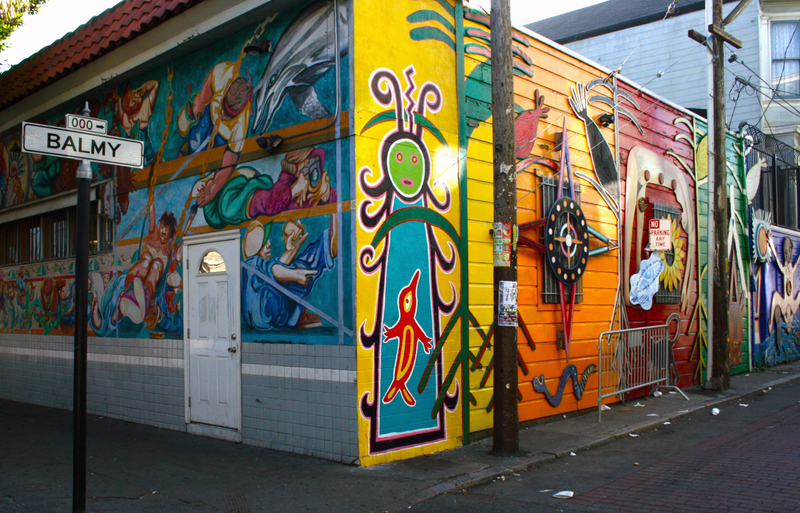 Power of the native people on Balmy Alley. 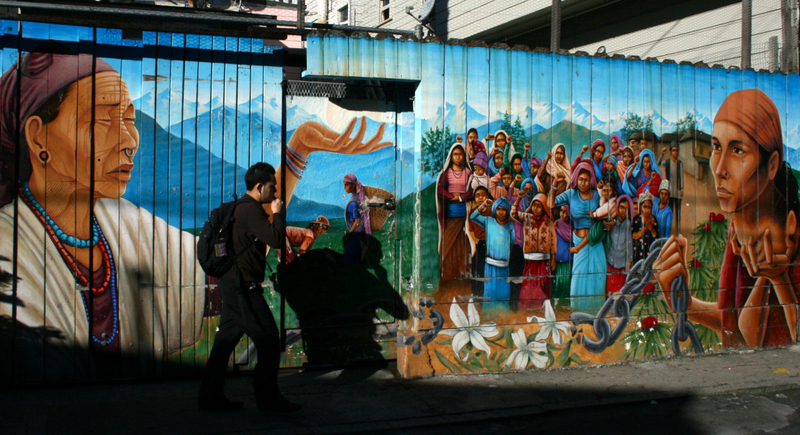 The struggle of a man leaving his land and family behind in search of The American Dream. 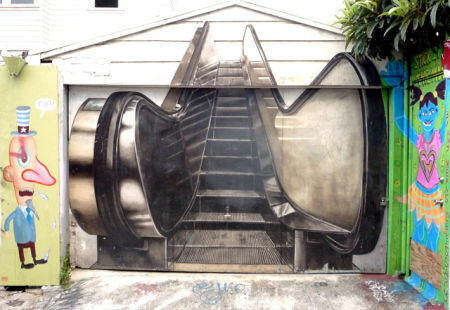 Ingenious way of bringing architectural elements into art work. Famous Mexican Actresses and Actors.